*cough* Month later and only getting around to this but here we are now guys 500 followers later. Honestly only since reaching 500 followers there’s been another flock of new readers which is unreal to me. It will always be crazy of how this blog is quickly growing but in celebration of reach 500 followers. I asked all of you who follow to leave your questions on my 500 post and on twitter. There are quite a few questions to get through, so this could be a long post. Thankyou to everyone that left a question, as you all seemed to want to know all the things about me. Maybe next milestone whenever that will be in the future I’ll do a bigger event for it. I’ve got some ideas floating around but all will remain a secret. Your all magical stars who follow my little blog among the mass blogsphere and enjoy what I do. So you’ve done your bit guys asking the questions now all will be revealed. If you would be able to be join as your own character into one anime, what anime would it be and why? Oh dam won’t lie this was so hard to decide on but retracing back my steps. A beloved series that truly captivated me in ways, that deserves all the recognition I gave in my review. My love of the water, honestly moving to Australia it has only heightened when watching Nagi No Asukara it was a series that swept me away. A compelling story of young romance, told from a deep aspect that grips you tightly. Who wouldn’t want to live in a aquatic world with the ability to breathe underwater, still able to go on land. The animation added to the surreal feelings of how beautiful the idea of a underwater sea village, I’d go exploring every day. Maybe could make my own mermaid tail let it add to the aquatic feel even more. Honestly out of the cast of characters I’d love to get to know Chiskaki and Tsumugu more, as they were my favourites from the show. It’s down better where its wetter !! 2. What anime/manga series do you want to see have a crossover? This would be an interesting mix Samurai deeper Kyo x Hakuoki. Both are similar in plot poor girl get strung along for the ride, dealing with demons. 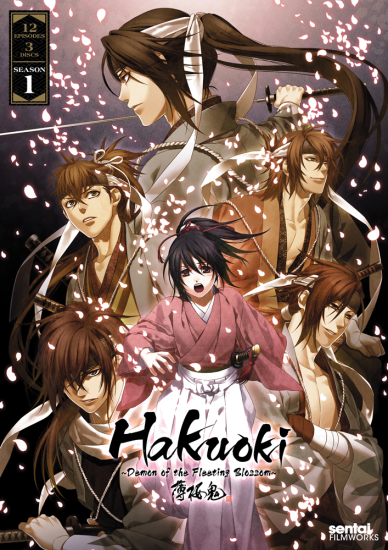 Be an entertaining samurai series adding hakuoki would give deeper Kyo a face lift, as the ending of that show I’ll never be happy with . It’ be a lot easier to just fully focus on blogging things might be easier, I’ll be honest. Juggling all your hobbies with real life is no easy feat. Somehow I manage to make time for all of it, hence why I implemented the schedules for blogging and youtube. Blogging comes first over youtube so throughout the week I find the time to write. In the evening is when I spend a two – three hours writing. Sunday out of the whole week is a day I spend writing a lot, where I’m not going fitness or work. This is why I look forward to my Sundays a lot more. But not every night of the week I’ll write five out of seven days is when I’ll actually be writing something. I never wanted to put a schedule on when I wrote, most of the time I write when I feel like it. I do one video a week over on youtube so on a Friday or Saturday after work is when I record, edit that whole tedious process. So my video is ready for Sunday, somehow it all works out, leaving time to watch anime in between. Oh and have a life outside of all of it. 2. How do you see your blog in 5 years from now? 10 years? Seriously I’ve never given this much thought but saying in five years. I still have this blog and least a thousand followers would be a goal. This blog is purely a hobby who knows what it could turn into I just go with the flow honestly. I’ve been asked many times this popular question, can’t blame people. It’s no secret that she is my favourite female character of all time. 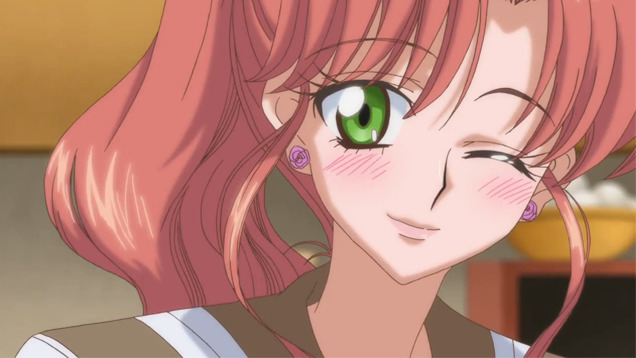 To answer you Karandi it was love at first sight in her airing episode “Jupiter Comes Thundering In”. How she took on board the fact she was a sailor scout, so boldly. Makoto fierce less nature about her was the main reason, she had me out of my seat, at the time of bingeing Sailor Moon in full. If I could have a ability it would be thunder/lightning element, so she embodied that yearning. I hadn’t felt this rush of excitement with a character with power/ability like for her. She was right down to business and it’s that attitude is why I love her. No secret also that feel we share a trait in getting ticked off easily, hence around on twitter thanks to certain friends. I’m known as #ThugLita, you can search up the hash if you feel inclined too. Though it was never apart of the plan for my blog or youtube to named after her. Just happened now here I am, where that is what everyone knows me by. Looking at back glad I choose her as my mascot/representation, their traits in our personality that are quite similar. She is thy my ultimate waifu !! 1. If you could pick an anime character to be your roommate, who would it be? Kaori from Your Lie In April stole the whole for me while watching this beautiful series. Me and her would gel so easily, her high, infectious energy would make Kaori the most fun room mate to have. She’s someone who doesn’t like to sit about and just get out there. I can see some fun shenanigans would happen, if she wanted to jump into a river would never say no. Honestly easily a dare devil pair we would be. 2. Which anime character would you bring home to meet your parents? I commend you on some interesting questions TWWF but you may call me crazy to bring Sousuke Sagara from Full Metal Panic. Why military maniac him? 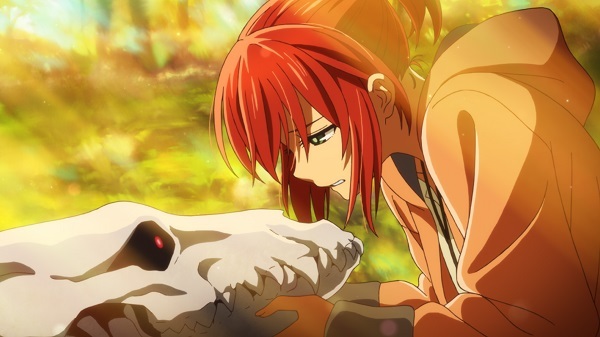 The series itself is a precious one for me and always I’ve had a soft spot for Sousuke, more feeling sorry for him. All he is know is thinking solving issues with military means, never grasping in society it’s not the way. I’d bring him to my house for dinner though not forcing he would have to meet my parents. I’d want him to experience a form of normality that he may have not been open to. Having dinner with a family, I’d make it clear though we were just friends but likely hood ever anything happen would be a wager. Mean? needing to be a patient of a saint with someone like Sousuke. This wouldn’t be out of pity or sorry for him as be an interesting character to introduce to any parent. 1. If you could be one anime character, from any anime, who would it be? Easily could have picked Sailor Jupiter but again really difficult question. Though one character that stuck in my mind for her insane ninja ability. Jiyu Nanohana from Jubei The Ninja Girl. This is a series yet I have to review, very unknown title but a barrels of laughs. fifteen Jiyu founds out she is the successor to Yagyu Jubei inheriting his swordsmanship skill. Whenever Jiyu transformed into Yagyu Jiyu got all excited, as the fight scenes are quite entertaining. 2. What is your favourite anime from your childhood? I remember an old VHS tape I used over and over, recording Beyblade. Particularly a fan of G revolution season, my favourite. Saturday mornings are what a 11 year old lives for to see these characters battle with spinning tops. The idea of the spinning tops sounds so silly but in the moment of child Lita, was the coolest thing ever. Seeing these creatures arise from the blades. Beyblade always. 1. Who is your favourite Megane Character? I’ll say had to look up what you meant Naja in Megane character, had no clue. I’ll never be use to some Japanese references but character with glasses. Never thought about this but first one that came to mind was Mirai from Beyond The Boundary. She is a cutie and those red glasses just complete the innocent look. I just want those glasses myself you know. 2. If you could date an anime character who would it be and why? Can’t use your husbando for every date/relationship question but already soon as I saw this question. 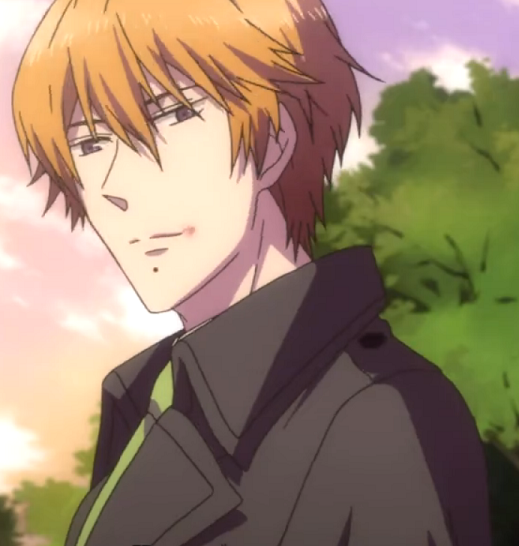 Answer was there, Natsume from Brothers conflict. For starters were in the same age bracket, a form of nerd interest would be there. As in the series he is a game developer though I’m not someone well informed in that area. Hearing him talk about that side of things would be really interesting. 1. What is your favourite lunch meal? If I’m at home it’s boring sandwhiches, potato chips and cup of soup. Calling it boring it isn’t but my favourite sand which to have is salmon and cucumber. Such a english thing some habits just don’t die. If I am out and about usually I try get any asian cuisine, just eating that food makes me happy. Sushi is always a major go to when I’m out will always have that. 2. Do you sleep with socks or barefoot all the time? Ahaha this is a funny question but I sleep barefoot all the time. As wearing socks makes me feel hot during the night I’ve found. 1. 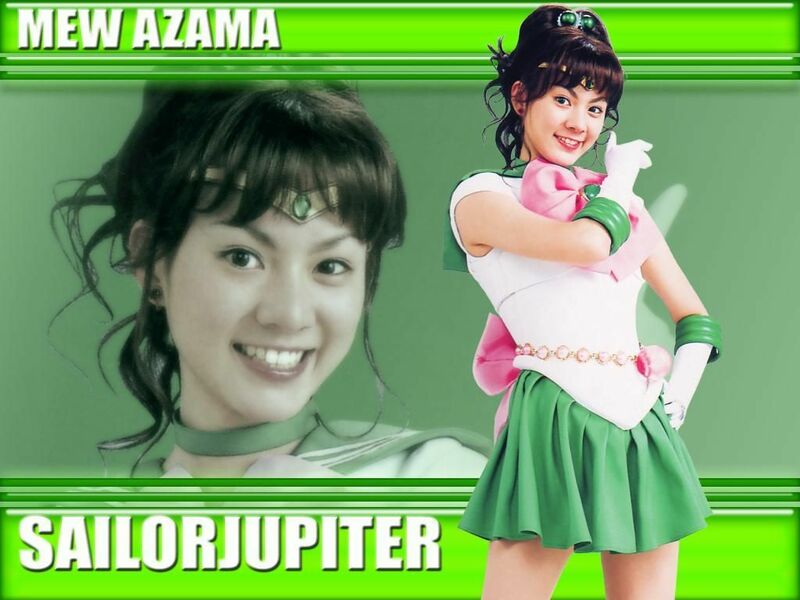 What do you think of Jupiter in the live action? To be honest, I’ve not seen the live action of Sailor Moon much but trying to remember from years back. 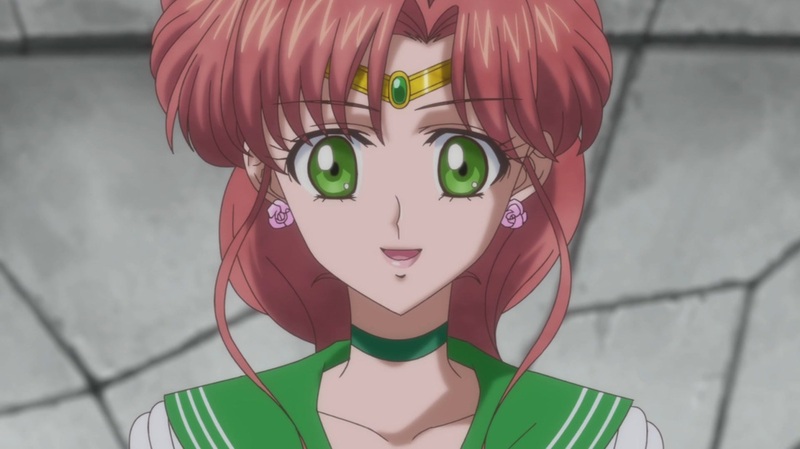 I found out about the live action sometime later on, seeing a brief clip on youtube of the Sailor Jupiter. She wasn’t too bad but thinking at the time, I’d have to watch some of the live action to give a better answer honestly. Munto Tv – This series was the reason I discovered Kyoto Animation, why it’s my favourite studio to this studio. One of Kyoani earlier works but it’s a charming, fantasy story all on it’s own, even though short. Escaflowne – This should be a surprise from announcing recently this is my favourite anime of all time. It’s far from a fantasy/romance series, much more than that. To find out more of what I think about this series, read my editorial piece on it. Nagi no Asukara – Such a serene series that reminded me my love of the water and a powerful reel of love drama. Consisting among a young cast of characters, truly a jewel in the sea. 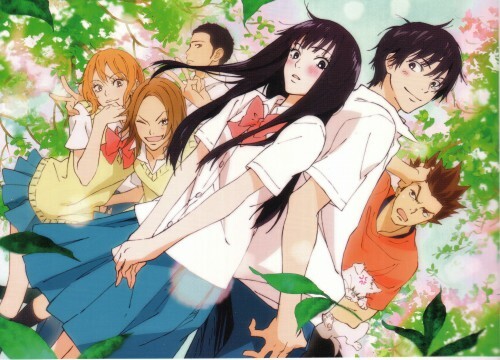 Kimi ni Todoke – My favourite romance series to date, it’s a long painful wait for things to get moving but getting to the conclusion is worth it. A romance/teen with all the cliches but it’s captivating. 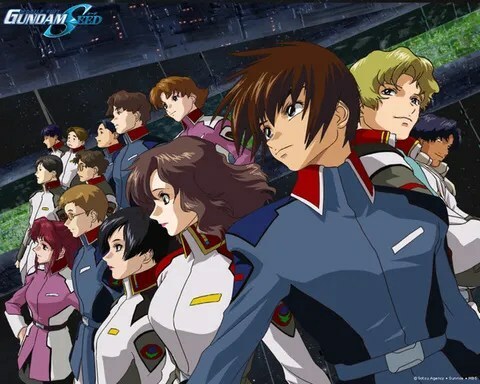 Gundam Seed – does a brilliant representation of the theme war and humanity’s greed. The action in the series found myself getting so invested in and a rollercoaster of emotion. Be a dear mecha favourite. 1. 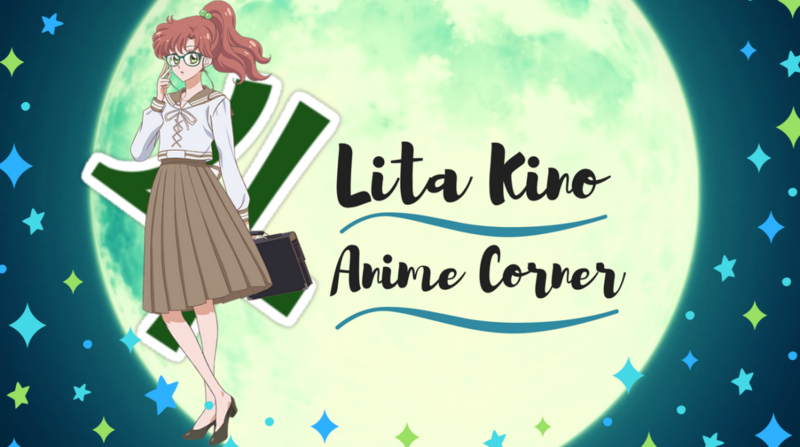 Do you have a interest in the martial arts (like the lita kino character) If so, what styles and/or weapons would you like to learn. 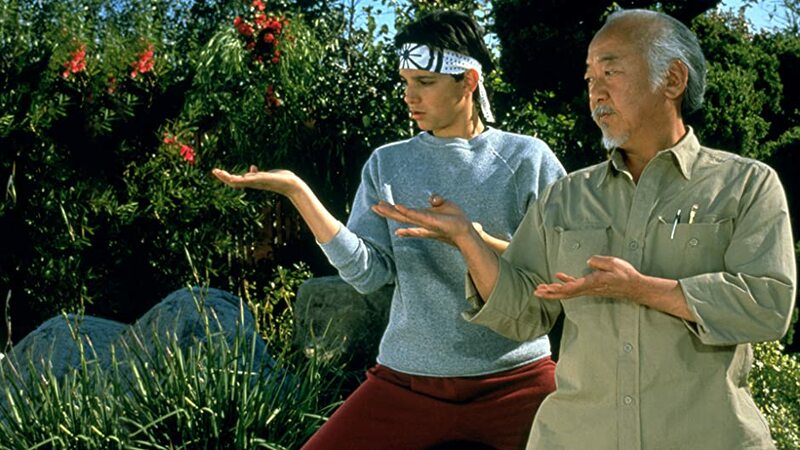 Very good question asked here, The karate kid is one of my favourite movies. Mean who doesn’t know this iconic movie. I’d love to learn Karate mostly for self defence and learning about the culture behind it also. Mr. Miyagi I’ll thank for that. Already at the moment I do kick box session at my fitness classes I attend. I would love to learn how to box or kick box properly, really enjoy this session every time. Just has built up this interest of wanting to take it more seriously. 2. What are your current thoughts on whether the quality of anime is on the decline due to all – computer animation in modern titles? Mean just look at it, beautiful in my opinion. This is a bit questions to tackle so for you Gkmix I’ll answer this in a seperate post my friend. As it’s another blog idea I’ve had for a while. What are your top three Haikyuu characters? Seek in your haikyuu question I could see that coming a mile off. You know and everyone else will that Noya is my favourite, number one. Pocket rocket Hinata, pouring his passion of volley ball into everything. For everyone to see is wrenching, my heart was pulled along the whole time. Adorable. Sugawara hidden genius who comes out of nowhere to surprise all. So there you are my top fav haikyuu boys my dear. 1. Your favourite music genre? To give you a little inner scope, backstreet boys, Britney spears, christian aguilera listening to all these 90’s babies back then. Even now I still listen to them but now a days listen to a lot of techno, chill music, remixes and such. While blogging I like to listening to relaxing mixes with a bit of singing and a lot of instrumental. I listen to anything honestly, rock is a favourite genre Linkin park, evanescence, Nickelback. Gone through so many phases with music, say you want to jam along to disney with me. We will do the disney sing a long. Not a lot of people like country music, I love that stuff Shania twain, carrie underwood are favourites of mine. I don’t listen to a lot of classical music or Jazz. Back when I was a teen, collected or still do a lot of fantasy related things. A lot of those were dragon figurines, small ones they were. I remember watching a movie called Dragon Heart on the TV was a sad story. 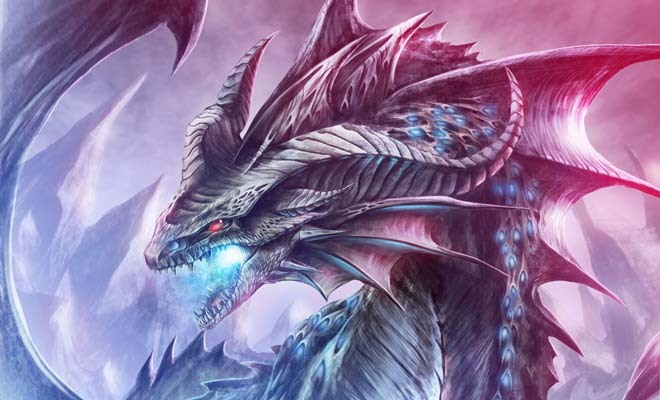 Feel like then is when my love dragons started because of that movie but dragons are only my second favourite. My real favourite are mermaids, haha it is a known fact all thanks to Ariel that they are such nice creatures. 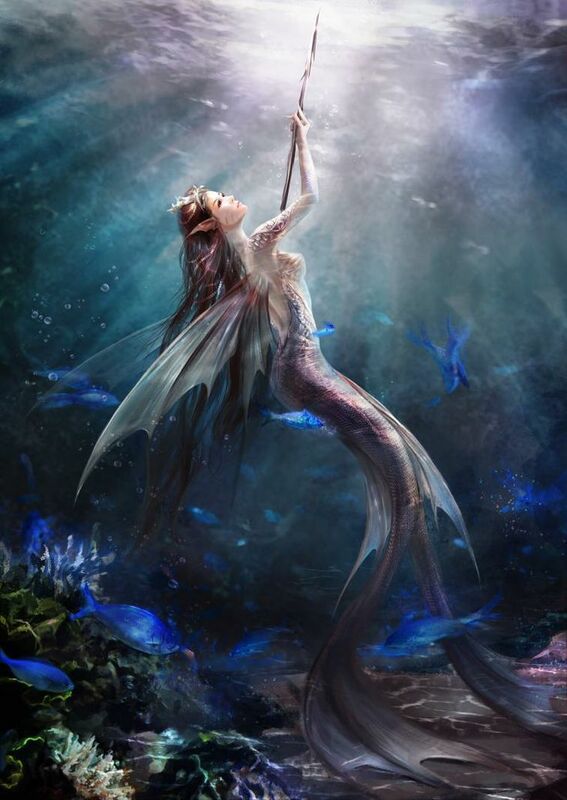 But mermaids infact are dark creatures really, luring men with their deadly voices then drowning them. I’d be happy to swim in the ocean with a tail any day folks. Do you spend time with an offline anime community? In the past I had my best friend at the time whom was a major reason I got into anime more. So yes there was a little group of people I’d spend my time talking about all the anime stuff but that wouldn’t happen till convention season. These days I am not that social and the majority of anime talk is on here through my blog and twitter. Oh the pinnacles of getting older. I don’t want to be involved or have anything to do with the drama, all pointless my advice to those. I conclude to finally answering all of your questions, I’ll keep this short and sweet. Thankyou to everyone for their questions, those Taku and GKmix I’ll be answering your other questions in a seperate as promised. I”m still even now trying to grasp my head around this but gives more motivation than ever. Over the next month, I has some things planned including something BIG. I’m not revealing anything now as much preparation is in under, but you guys will love it. I hope you enjoyed this post and now it’s 2am….. If you get a chance, you might check out the live action… Rei is my favorite character there, but honestly Makato has the best character arc. I feel the same way about Jupiter and for much the same reason. Jupiter Comes Thundering In was my favourite episode when I was young. Congratulations again on the 500 Followers and hoping you continue to grow. I feel like I’ve been hit by a wave of nostalgia because you mentioned Beyblade (I loooved that! Maaaax! ), Vision of Escaflowne (oh that ending ; A ;), and Gundam Seed (honestly, I mostly watched that because of Athrun, tho). 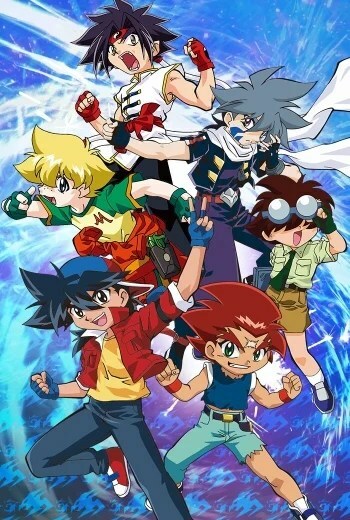 *hits you more with wave of nostalgia* yes beyblade fan just like me weheee !! Too bad for me because I’m not so fond of its ending though. 😦 Kaname deserves a happy ending! Anyway, congrats on reaching the milestone. I had fun reading all your answers! Glad you had fun reading my answers dear !! I’m totally bringing popcorn to the you vs Arria fight!